In a pressure cooker, heat the oil and add the cumin and the fenugreek seeds. Then add the chopped onions, ginger garlic paste, green chillies and fry till the onions become soft. Then add the chicken gizzard and all the other spices and fry for 5 mins. Add chopped tomatoes and soya sauce and mix well. Fry for another 2-3 mins. Add 1 and half cup water and pressure cook for about 15 mins. Release the steam from the cooker and open it. If there is extra liquid, cook it over high heat for 2-5 mins till the gravy thickens and the oil separate from the gravy. 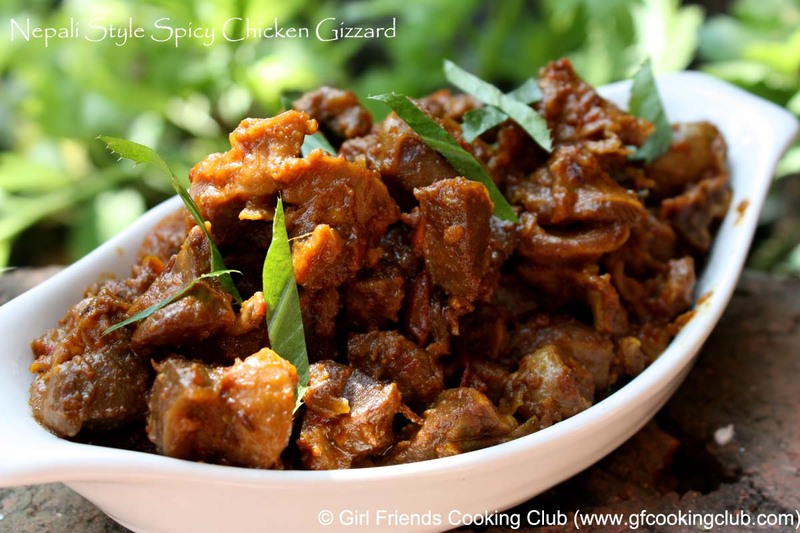 This entry was posted in All Recipes, Chicken, Nepali Food Recipes, Snacks & Appetizers and tagged Chicken Gizzard, Nepali Cuisine, Nepali Recipes by Kamakshi. Bookmark the permalink. it was great.i made it for my mom n she really liked it.thank you.